Through a combination of permanent exhibits, special presentations, and educational facilities LMC encourages guests to step back in time. Discover the lives of Ohio's pioneers, explore Victorian-era comfort, and learn about the changes that time, innovation, and the industrial revolution brought to this early suburb and rural escape. The newsletter for Spring 2019 is now available. The JoAnn Richardson History House is available for rent. With space and facilities for nearly 100 people, it is a perfect location for meetings, educational programs, and special events. For more details visit our facilities page. 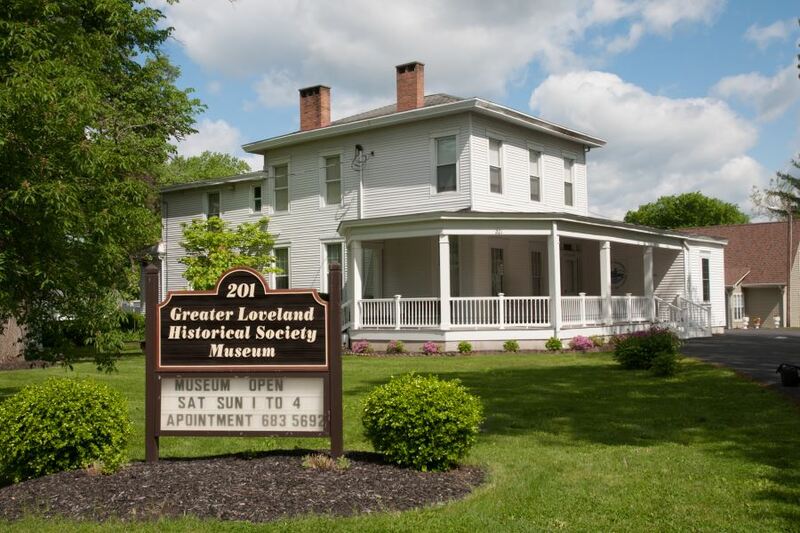 To collect, preserve and make available historical material and information pertinent to the Greater Loveland Ohio area, and to institute and encourage inquiry into said areas.